1) Walking through Hyde Park on a Sunday morning towards Speakers’ Corner. Hyde Parkis a lovely green spacious oasis in the middle of this bustling city. 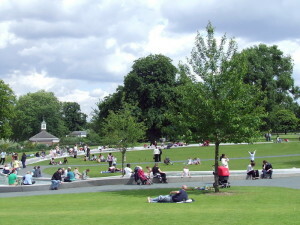 Firstly, you see the diversity of the people that inhabit this melting pot and then, once at Speakers’ Corner, you can take a listen to the many characters standing on their soap boxes expounding on some hidden government agenda or some religious misunderstanding to anyone who cares to listen or disagree. Some of the great debates of our time have taken place at Speakers’ Corner. It truly symbolizes what freedom of speech is all about. 2) Next the boat trip from Embankment up to Greenwich. You can view wonderful sights from the historical River Thames including St Paul’s Cathedral, the Tate Modern, Shakespeare’s Globe Theatre and much more. Once you get off at Greenwich, standing there before your very eyes, is the world famous Cutty Sark recently restored to its former beauty and open to the public for viewing. You can take your time and meander through the lovely village of Greenwich through the naval base with its intoxicating architecture and history, then head up to the Royal Observatory, where one can see a show at the planetarium or perhaps stand on both sides of the Prime Meridian. There are great views of the City from this vantage point above Greenwich Park. You really can spend a day just wandering around the area and there are some great little restaurants in the village, including Jamie Oliver’s Italian. Also, there are quaint tea shops and a fantastic book shop still thankfully going strong. 3) There are so many great shows in London from West End musicals to world famous plays that for evening entertainment you are never left wanting. For me it has to be the Comedy Store at Leicester Square. If you like to laugh, this is the place to go. It is a very compact club with no escape from the comedians view! Two hours of side splitting laughter with four very different acts but all of them on top of their game. The guys and girls at this club don’t tell jokes they tell stories. I must have been there a dozen times and never left disappointed, which is more than I can say for my next choice but I could never leave this place out and those that know me know what’s coming. 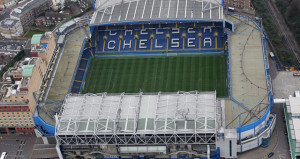 4) Visiting Stamford Bridge, home of my beloved Chelsea (premiership football team). For more years then I care to remember this team in London has had a hold on me like no other. Can I shake it off as I grow older and have moved 10,000 miles away? Quite simply, no! 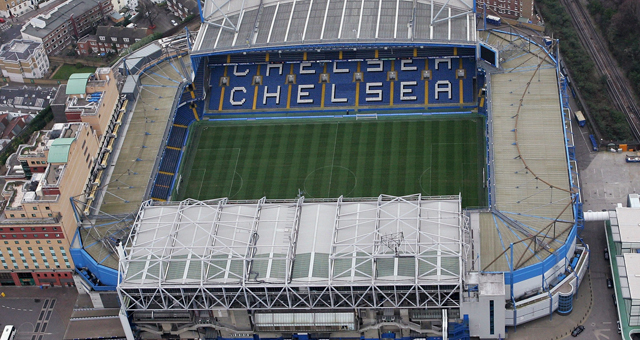 I have grown, London has grown, Stamford Bridge has grown, Chelsea has even grown but it always comes back to this. Taking the packed District line train along with the blue army. One hour before kick off my heart is filled with hope. This is it, it’s all going to come together today for me! Often two hours later, back on that packed train dejected, angry, frustrated and let down. We have just been beaten and the team had an awful performance. That’s it. I am done next weekend I promise myself. I will go to the DIY store with my wife. Oh, if only it was that easy!!!! London has so many sporting events going on all year round from football to rugby to cricket in the summer. Be sure to try and check a sporting event out; it really is a great experience. 5) London has been blessed with museums and galleries in abundance to suit any one’s taste. So rounding out my top five has to be spending a few hours losing myself in the Tate Modern, a great location standing proudly on the side of the Thames River. This area really is a cultural paradise and within a short walking distance you have the Globe Theatre where you can journey back in time to understand how everyone used to enjoy Shakespeare. Not to be missed is the British Film Institute (BFI) for great movie selections. Also, close by is the South Bank with great theatre and outstanding exhibitions. You also have the street entertainers plying their trade right underneath the iconic London Eye. Then take a look across the river for exceptional views of the Houses of Parliament. In fact maybe my fifth choice should be just taking a walk along the Thames River between Embankment and the Millennium Bridge. Oh no, here we go again……. Be sure to add your favourite London activities whether it’s a restaurant, a walk, or somewhere just to hang out. Just add to the comments section below for everyone else to enjoy. You cannot leave out Covent Garden. The diversity of the street performers, and the atmosphere on the piazza is fabulous, and to round it off, a pint of real ale in the Lamb and Flag, one of Englands oldest pubs. Or what about Camden Lock and market. The diversity of this market and its stalls makes it a unique shoppoing experience i have never seen anywhere in the world. Visit on a Saturday or Sunday to see the real experience of Camden at its best! Also its just a simple hop up the Northern line, so really easy to get to. Leaving all Political views aside, just to wander and to take in the splendour of the Houses of Parliament, with the amazing architecture alone and alongside Big Ben, which you can set your watch by and not fail to be moved when the chimes ring out loud all over the City. Onwards to The Mall, where many historic celebrations have been witnessed, not only with the Queen’s horses and carriages pounding the streets with more recent celebrations of the Jubilee but annually to marvel at the many thousands of ordinary people, wishing the finishing line to be in sight with completion of the London Marathon! Leading on to Buckingham Palace where the recent posting of Prince George’s birth was announced, keeping up with years of tradition for media across the globe to report and celebrate. Do not forget also if the Queen’s Royal Standard is flying then the Queen herself is in residence! A Trip to Little Venice. The area where Grand Union and Regent’s Canals meet, directly north of Paddington, is affectionately nicknamed Little Venice. If you actually know Italy, don’t expect to find it back there; you’d be disappointed. The small, quiet canals of Little Venice have nothing in common with the gorgeous ones in Italy. Yet this peaceful area still seems exotic: if you want a bit of peace and quiet then this is it,walking along the canals, you can feel like you’re thousand miles away from London’s hubbub, although you’re only minutes away from busy Paddington. If you follow the canal downstream through the tranquil neighbourhood of Maida Vale and you’ll reach Regent’s Park in half an hour; if you’re brave enough, you can walk all the way to Camden town & its famous market. 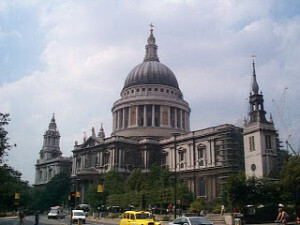 A nice walk: start from St. Paul’s Cathedral, walk over Millenium Bridge, then walk along the Thames towards London Bridge. Have a pub lunch in one of the many pubs on the way. Visit Borough Market (not open on Sundays), taste food from all over the world, go up the Shard to have the most fantastic view over London, walk along the Thames towards Tower Bridge, cross Tower Bridge, see the Tower of London or go to St. Katherins Docks and have a pint at Dicken’s Inn. Return to the West End by tube or bus from Tower Hill. Takes a few hours, though! !